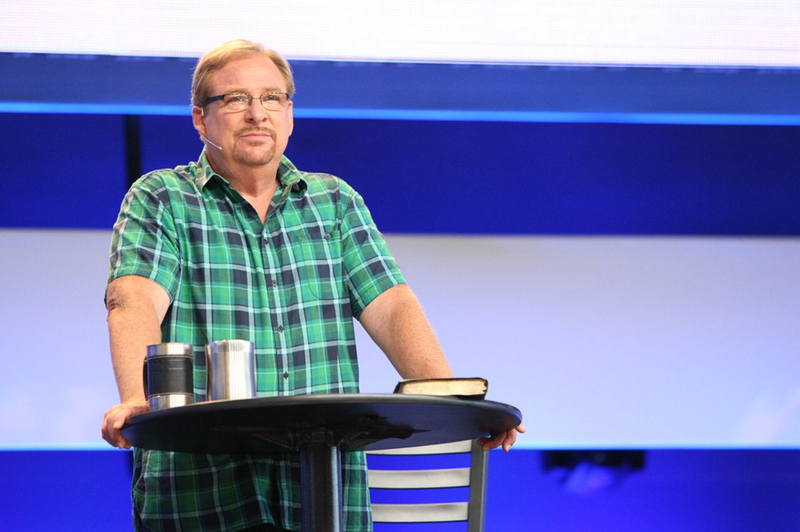 When Saddleback’s Pastor Rick Warren wrote The Purpose Driven Church in 1995, he knew that in order for a church to be healthy, it needed to focus on God’s purposes, not a pastor’s own idea of ministry. Now, after more than two decades, Purpose Driven principles are still bringing focus and direction to a whole new generation of pastors and church leaders around the world. In his book, Pastor Rick explains that every church is driven by something; tradition, finances, programs, personalities, events, seekers, and even buildings can be the controlling force in a church. But in order for a church to be healthy, it must built around the five New Testament purposes given to the church by Jesus. Later, in some of his last words to his disciples, Jesus gave the Great Commission to them and assigned them three more tasks: Go make disciples, baptize them, and teach them to obey everything he had taught. Together, these two passages summarize the mission of a Purpose-Driven Church. Over the past 25 years, Pastor Rick writes that he has seen Purpose Driven principles transform thousands of congregations, and today, it has been taught to more than 500,000 churches. Many of those congregations have gone on to receive the Church Health Award. While he naturally encourages churches to check and re-check focus on the five purposes of worship, fellowship, discipleship, ministry, and missions—he has always emphasized balance, health, and strength over size or shape. 1. They have a Purpose Statement (in their own words) that describes their commitment to building the church around the five New Testament purposes: worship, evangelism, fellowship, discipleship, and ministry. 2. They use a Purpose Driven strategy to fulfill their purpose statement. While using a variety of terms, a PD strategy brings people to Christ and into membership in God’s family, then builds them up to maturity, then equips them for ministry in the church, and then sends them out on a life mission in the world in order to bring glory to God. The PD strategy is based on two vital assumptions: 1) People grow best when you allow them to make graduated commitments. 2) You must ask for commitment in specific ways, such as using covenants. 3. They organize around a Purpose Driven structure, which insures balance and gives equal emphasis to all five New Testament purposes. PD’s are team-based, rather than hierarchical in structure. They organize around Purpose based teams, (at least five; one for each purpose) composed of lay leaders and staff, with each team responsible for a specific purpose and target group (such as the community, the crowd, the congregation, the committed, and the core). 4. They program by purpose. They have at least one program for fulfilling each of the five purposes and each of the corresponding constituencies. They evangelize the community, gather the crowd for worship, fellowship in the congregation, disciple the committed, and equip the core for ministry and mission. 5. They staff by purpose. Every purpose has its own champion. Purpose Driven Churches begin by finding volunteers to lead and serve on each Purpose based team, developing full-time, paid positions as needed. 6. The pastor preaches by purpose. He plans his messages and series to insure that the congregation receives a balanced emphasis on each of the purposes. 7. They form small groups on purpose. The Purpose Driven Church DNA is implanted in every cell of the Body of Christ. Each small group helps the members fulfill each of the five purposes in their lives. The goal is to help every believer live a Purpose Driven life. 8. They calendar by purpose. The purposes are the determining factor in deciding what events are scheduled. Every event must fulfill at least one of the five purposes or it isn’t approved. 9. They budget by purpose. Every expenditure is categorized by the purpose it relates to. 10. They build by purpose. Buildings are seen as ministry tools, not monuments. They must serve the purposes, and never become more important than the purposes. 11. They evaluate by purpose. They regularly ask: Are we balancing all five purposes? Is there a better way to fulfill each purpose? 12. Most Purpose Driven Churches are built from the outside-in, rather than in the traditional way from the inside out. It’s far easier to turn a crowd into a core, than it is to turn a core group into a crowd. You build a healthy multidimensional ministry by focusing on one level of commitment at a time. Razor sharp focus on helping people find and follow Jesus, along with careful and regular evaluation, are always marks of high performing congregations. When it comes to growing churches, we reap what we sow! To learn more about becoming a Purpose Driven Church, visit pd.church/start.